Cloud technology has taken off in recent years, and the refinement of software used for cloud backup has made it easy and efficient for companies to outsource the backup of their important office data and documents. Traditional ways of backing up still work, but given the time commitment this takes, it’s worth weighing up the pros and cons of managed and unmanaged approaches. 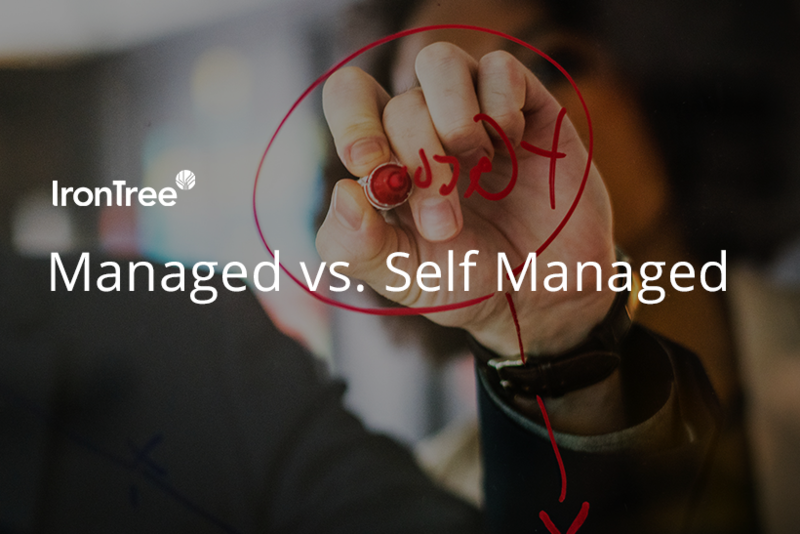 With self-managed or unmanaged backup a staff member or IT person needs to handle the process internally, taking control of a series of manual tasks such as encrypting data and transferring it regularly to a remote backup storage site. This person also needs to do manual restores a few times a year to make sure the backup is working and to calculate the time it’ll take to get the restored data back up and running in the case of that being necessary. With managed backup, sometimes called backup as a service, software is installed via the Internet and your backups begin immediately, continuing at a regular, scheduled time with no human intervention. who will do the manual tasks such as encrypting, transferring and restoring the data, and testing the backup process? where will the backed data be stored, ie in the cloud or on local hardware, tape or usb device? who will have access to the backed up data? what will the security of the process and storage be like? will the process be compliant in terms of data protection and privacy regulations? what is the price you’re willing to pay, ie what’s the cost of an incident whereby data is irretrievable? If you have confident answers to all these questions, then you’ll be fine with unmanaged backup, as long as your restoration process is top-notch. Being able to restore your data successfully is ultimately, what backup is all about. If you don’t have the answers to these questions, then you’d probably benefit from a managed backup approach. Implementing data backup as a service means that the risk of data loss is minimal and you don’t have to worry. The backup preparation, encrypting, transferring, testing and restoring of data is done for you and, since the process is recorded by means of daily status reports, your data regulation and compliance requirements with regard to data protection are met. You’ll have no maintenance costs associated with cloud backup because your data is stored in the cloud – all you need is a reliable Internet connection. Backup as a service also saves you the cost of IT staff and the frequent software updates that protect your data from malware. In the event of a restore being necessary, there’s minimal downtime and you can have your data back within minutes. Another benefit of online backup is that the monthly cost is predictable, so you always know the full cost of your data security and can therefore budget accurately for it.